In a blistering novel of raw emotion and desire, a tormented woman teaches an alpha male that money can’t fix everything... but love can. Tiffany: After fighting for a new life, I don’t want to play the victim anymore. However, with three kids to raise, I’m getting desperate enough to make a deal with the devil. My estranged brother-in-law, Blake, says he just wants to help, but he’s been trouble since I met him. I don’t know if I can believe this kinder, gentler Blake, and there’s a friction between us that has turned into the sweetest chemistry. He could be my salvation... or my downfall. Wait for It is intended for mature audiences. I have read books 1-3 already in this series and I’ve really enjoyed them all! This installment is about Tiffany from the trailer park. The woman with three kids and a husband that is never around. When he is, she’s wishing he wasn’t. Abusive and drunk, her husband, Phil, uses Tiffany as a punching bag and the kids as weapons to keep her down and out. She’s alone and isolated from her family and friends, no car, no money, no way out. Blake is Phil’s brother, he’s spent his entire life cleaning up after his drunken jerk of a brother. After meeting Tiffany in the trailer park and realizing she’s his brother’s hidden wife and these are his nieces and nephews, Blake does what he always does, he throws money at the problem to make it go away. Tiffany, in a desperate situation, takes the money Blake offers her, finally getting herself out of the trailer park and away from Phil. After trying to start her new life, Phil ends up finding her again and comes back to claim what’s his. Fleeing the apartment with the slippers on her feet and her ratty sweater, Tiffany makes her way up the mountain to where Annie lives. Annie has told her she was always welcome if she ever needed help. Unfortunately, Blake is at Annie’s Christmas party that’s in full swing when Tiffany pulls up for help. Blake cannot believe she’s shown up here; after paying her off, he expected to never see her again. He deserves her anger and when he’s a bit too callous, Tiffany punches him! Blake finds there’s more to this scared little trailer rat, she has balls of steel! There’s some perfect character strife between Tiffany and her husband’s brother. This arrogant man, who tried to pay her off to go away. Tiffany finds she’s very attracted to Blake and he seems more vulnerable that she ever thought possible; maybe, they both need saving. This book contains some well written heartfelt angst, hurt feelings, and miscued moments between Blake and Tiffany that make a romance story great. You know, those groan worthy times where the character misunderstands or plays their feelings off while their heart is being stomped on. Blake is written very well, and steamed up the pages when the two did come together. I did find this book a bit on the wordy side (kind of like this review) and it may just be a bit longer than the story needed. All in all, another very solid installment of the series. The first three books in this series have been fantastic! I was sucked right into this world and the characters; add in romance, action, and hot erotica, and you have the recipe for the perfect series. The fourth book in the Everything I Left Unsaid series was Tiffany and Blake's story. If you've read the previous books, you're familiar with Tiffany. Phil, her abusive husband and father to her three children, has left her destitute and hanging on by a thread. She's been cut-off from her own family and never accepted by his, she is doing everything she can to provide for her children while being terrorized by him. Blake, on the other hand, has worked for every dime he's ever made and is proud of it. Proud and cocky, Blake has spent his entire life cleaning up his brother's messes. When he finds out his brother, Phil, has a wife and children. Blake does what comes natural and tried to BUY them away from his family (mother/sister). As I said before, I like the characters in this series, but I found this book lacking. I just didn't feel the chemistry between Blake and Tiffany. Not to say I didn't like them, I can totally relate to Tiffany being a mom and trying to find herself. I just didn't feel like they (Blake and Tiffany) were acting as adults. They both never talked of their feelings, they hoped the other could guess what they wanted, which would be okay if this was a Young Adult book. Overall, I love this series. The fourth book wasn't my favorite, but I did like watching Tiffany and Blake grow up and grow together. I had high expectations for their story and it was certainly HOT at times, but it was also frustrating and immature. This is the fourth book in the series and I have enjoyed them all. I highly recommend that you read them in order, as the story is ongoing, although this concentrates on another couple to books one and two, and book three. Even though it was a while since I read the series, I was quickly re-immersed in the situation and delighted to be back. Tiffany was a very sad character in the first books, and Annie so wanted to help; she gives rise to the first meeting between Tiffany and Blake. Blake has been sorting out his brother, Phil's messes for years – but never did he expect him to have a wife and children. Even less did he think of his brother as a perpetrator of domestic violence. That first encounter does not go well, but a year later, Blake has to rethink some of his assumptions, and cannot help but want to give Tiffany some support. As the uncomfortable chemistry between them causes them both to rethink some of their previous preconceptions – about both themselves and each other – we get to watch a most unusual romance develop. Blake, whilst seemingly in control of himself, is indeed flawed; his reaction to Tiffany forces him to think about what he will do with his anger, and how he should deal with his brother in future. It was addictive reading, thank you Ms. O'Keefe. 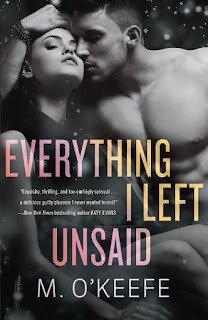 For reviews & more info, check out our Everything I Left Unsaid post. 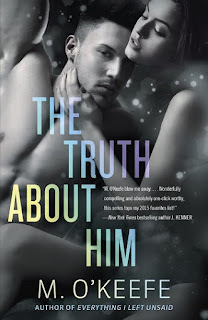 For reviews & more info, check out our The Truth About Him post. 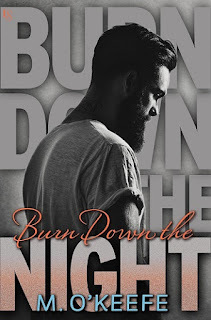 For reviews & more info, check out our Burn Down the Night post. M. O’Keefe can remember the exact moment her love of romance began: in seventh grade, when Mrs. Nelson handed her the worn paperback copy of The Thorn Birds. It wasn’t long before she was filling up notebooks with her own story ideas, featuring girls with glasses and talking cats. Writing as Molly O’Keefe, she has won two RITA awards and three RT Reviewers’ Choice Awards. She lives in Toronto, Canada, with her husband, two kids, and the largest heap of dirty laundry in North America. When she’s not writing, she’s imagining what she would say if she ever got stuck in an elevator with Bruce Springsteen. 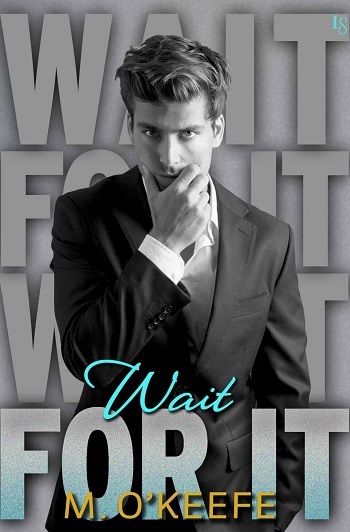 Reviewers on the Wicked Reads Review Team were provided a free copy of Wait for It (Everything I Left Unsaid #4) by M. O'Keefe to read and review.